Enjoy a maintenance-free lifestyle & perfect location in the Nation's 2nd BEST SELLING community... Lakewood Ranch! 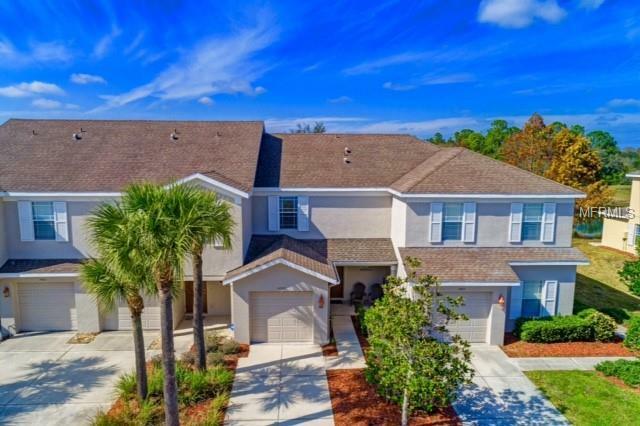 This lovely (offered TURN-KEY FURNISHED) Townhome is ideal for full-time living, a part-time get-away or an investment opportunity! The spacious kitchen flows seamlessly to the dining and living areas with glass sliders to the screened lanai...where you will find peaceful & private views of water, beautiful wildlife & preserve. This floor plan offers TWO en-suite master bedrooms complete with dual vanities & spacious walk-in closets. Enjoy newer carpeting, appliances, interior paint & a 1 car garage! Relax at the community pool/spa, spend time at Greenbrook Adventure Park/Nature Trails or grab a round of golf with friends at one of the many area courses! Just a short drive to Lakewood Ranch Main St., restaurants, upscale shopping, grocery, medical, A-Rated schools & some of the BEST beaches in the country!